My cousins and their friend flew in from SFO yesterday with a short layover in Hong Kong, so coffee or milk tea in the afternoon is a must to combat jetlag! 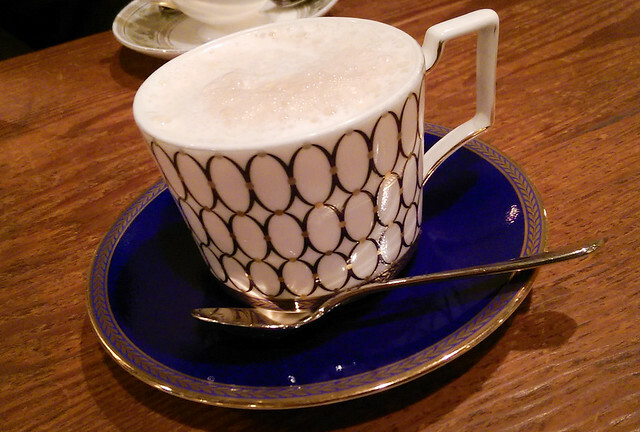 The quaint café took us to another era amidst bustling modern Shibuya. There was a long bench and two chairs at the entrance that served as a waiting area. We had a party of five which is an odd number (pun intended) when traveling, especially in an area that seldom has round or large tables. A party of five is already considered a rather large group in Japan! The menu was written entirely in Japanese. My cousin and sister attended Chinese school so they were familiar with most Kanji as it’s similar to Hanzi. 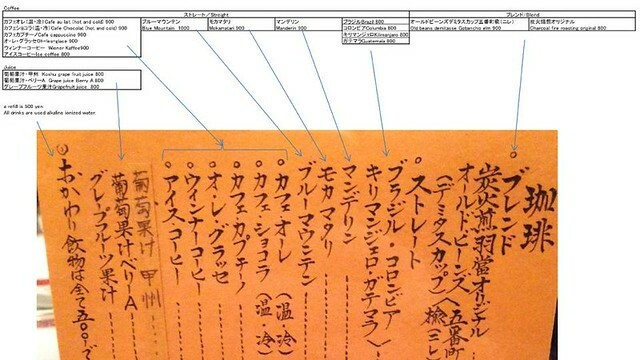 However, since Kanji has multiple meanings and pronounciations on a single character, they had to refer to Hiragana and Katakana charts to decipher the phrases. With the help of the waitress, we ordered the basics- one black coffee, two café au lait, and two iced milk tea. I later found a “cheat sheet” on Foursquare, which would have helped us immensely. I am posting it here, for anyone that is interested in visiting this café! Apparently most people order aged coffee which takes 20-30 minutes to prepare. I ordered café au lait, which came in a porcelain cup and served with a tiny cup of mizuame (sweetener, aka water candy). There was foam on the top, and it had a perfect coffee to milk ratio! 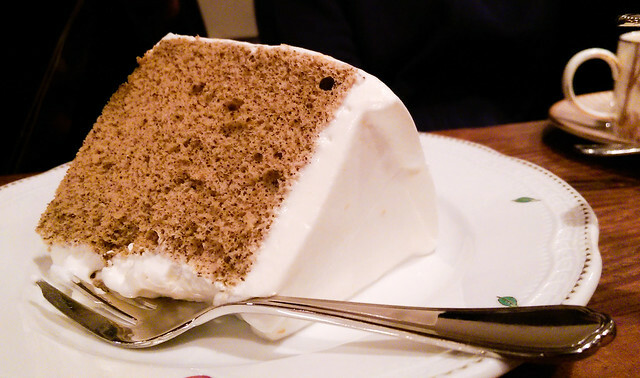 We also got two slices of chiffon cake (Earl Grey and mocha)! Both cakes were light and spongy, and the cream was light! We ended up liking the Earl Grey cake more; it was devoured within seconds. Yum!